As the world shifts design takes action. 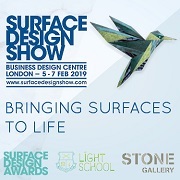 After reviewing an enormous amount of design events including Maison&Objet, Decosit, Abitare Il Tempo, Prêt-à-Porter, The London Design Festival and oodles more, in conjunction with our research it can be seen that design is at the heart of this movement. This issue discusses themes and trends for 07/08 in color, material, and product enabling professionals to stay ahead. Paris — This issue of Trendease not only reviews many of the September trade events, it delves into the world of design and its internationality. In Jennifer Castoldi’s introduction to the current edition she talks of multi-cultural tastes and the consumer. Also within this gallery is a special feature on new international designer, Jo Gartner, and his marketing strategy on how to attract attention to his Spring/Summer 2007 collection. 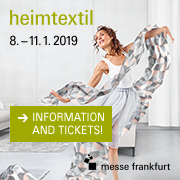 Frankfurt — Trendease subscribers are welcome to get a sneak peak at the 2007/08 trends to be presented at the upcoming Heimtextil in Frankfurt next January. This cutting-edge information includes descriptions and collages of the trends, swatches for each trend group, buzzwords, patterns, finishes and effects for home fashion. Be in the know now and gain a competitive advantage by reviewing what’s to come. Verona — “Encounters with Color: Designer Chromatics” is what the entrance to this special exhibit would read if it were in English. Within these rooms furnishings, textiles and colors create variations on the theme while illustrating the newest and most design and trend-forward products on offer at Abitare Il Tempo. See the rainbowed review here. Paris — France oozes of national pride and tries to grasp onto its culture in this rapidly changing world because it has something to be proud about. French products are forever sought after and emulated. This feature reviews the French Ethnic display done by François Bernard at Maison&Objet and also takes a closer look at this trend while explaining its global significance. Paris — As seen in this issue and other features within Trendease, people are traveling more and the radius of travel is continually increasing. Therefore many of the mysteries of distant lands are transforming to knowledge and experience of new cultures. And while not everybody has a chance to jump on a plane and travel the world, the influence is still strong. Products that fall within this trend can be viewed in this gallery covering the Mirages, Mirages! trend display at Maison&Objet. Paris — Maison&Objet gives its visitors a chance to walk on the wild side and explore new products while feeling as if they are transported to a faraway land when in actuality they have only taken a few steps off of the trade floor. At first glimpse this exhibit may be interpreted as green and eco-chic, when one ponders further it is not that at all, but something more disturbing. Here Trendease takes subscribers on this journey while also reading between the lines. Paris — Increased travel has been at the forefront of globalization. The design and fashion industries are finding that it is necessary to travel all over the world to do business. An abundance of job descriptions state “travel required.” But the traveling is not limited to the creatives and wheelers-n-dealers, consumers too are increasing their radius of travel and product design trends reflect this. This can be seen here with Prêt-à-Porter’s trends for S/S 07. Brussels — This year Decosit tried something new by creating Alice Town, a hall within the tradeshow that held its special exhibits, among them the trend themes for 2007/2008. The three trends presented were Bling, Bunker, and Burlesque which are all summarized in this edition of Trendease. This gallery reviews Burlesque and provides buzzwords, fabrics, and colors related to the theme. Brussels — Bunker is right on the money with its trend theme. It coincides with what the Trendease Team has been analyzing through research and by attending a huge amount of international trade exhibitions. See the cross-pollination here in the trend vignette and fabric swatches as presented at the international textile fair Decosit in Brussels. Brussels — While the Trendease Team believes this to be a trend past its mature phase, the Decosit trend team thinks otherwise and that, “We live in a world where violence that doesn’t hurt exists.” But then why call it violence? This outline wraps up what the Decosit team had to say about Bling as presented at this year's show. Paris — At Premiere Classe and Who’s Next this season’s guest of honor was South Korea. Thirty designers were asked to re-design a piece from their own collection, fabricating the designs with material adorned with Hangul, the Korean alphabet. What is so special about this alphabet one may ask? Here history can be a visual feast for the eyes. Multiple European Cities — The Trendease Team has been to a mind-boggling amount of design events and trade fairs over the course of the last month and has discovered an impressive amount of new talent. So much so that this is only Part I. There is more greatness to be found! In this feature learn about today’s international talent and see their products in the categories of lighting, tabletop and housewares, and home fashion accessories. London — [re]design’s 2006 exposition titled “Good and Gorgeous?” asks, “Can gorgeous design also be good – for you, for others and for the environment?” That was the challenge these designers were given. Does the creative use of scrap, reclaimed materials, minimal waste, sourced sustainability, fair trading, and recycling, reusing, reducing qualify these do-gooders as eco-design pioneers? Trendease gives them the thumbs up! Multiple European Cities — The Time to Think conference was held on Tuesday. This year’s conference was all about Meaningful Consumption. While consumers are buying more meaningful experiences they are also looking for more meaning in life. On this topic this week’s gallery is most appropriate since the quest for meaning and spirituality peak during uncertain times and times of change. Istanbul — This week’s gallery will whet the appetite of our subscribers in more ways than one. Those who have access to the Trendease premium content are invited on a journey through Istanbul’s Spice Bazaar where not only spices and Turkish delights are a smorgasbord for visual pleasure, but lights, ceramics, silver, and textiles are an excellent source of inspiration. International design continues to add new flavor to life. Worldwide — As the world appears to get smaller while globalization knocks down the door and the New Economics of Information allow people to access a vast resource of knowledge, consumers are welcoming international flare into their homes. Many people are traveling more and purchasing goods during their adventures. Many interiors are seeing new cultures. Worldwide — This week’s gallery cross-references many of the recent trade shows to demonstrate to subscribers how in a world where neutrals (almost) appear to take over, there is a glimmer of hope. Welcome to this gallery of trade fair hopping and tidbits about being global while acting locally, ‘narrative thirst’ and free space.